Lots of news today. Firstly, I've did a great interview with Rosie Amber yesterday, and today she's posted her review of Reckless Rebellion. Pop on over and say Hi, and join in the discussion! 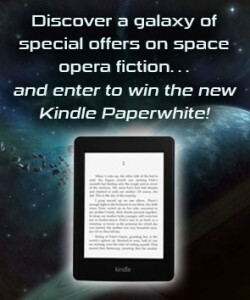 Check out the Space Opera Promo over at Jonathan Gillespie's blog, and get your entries in to win a Kindle!